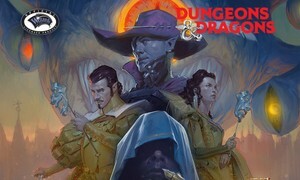 The Waterdeep: Dragon Heist Chapters 1-4 SoundPack gives you the complete audio solution when playing chapters 1-4 of the DUNGEONS & DRAGONS® adventure Waterdeep: Dragon Heist. All the preparation is done for you and every sound you'll need is right at your fingertips. Immerse your players in the rich city of Waterdeep, full of colorful characters, dangerous alleys, and rewards uncountable for those brave enough to grasp them. With every line of dialogue brought to life by talented voice actors from around the world, including a host of actual DUNGEONS & DRAGONS RPG creators, the characters of this adventure will come to life in the imagination of your players as they hear the notorious Volo as voiced by Chris Perkins or the spoilt Renaer beautifully acted by Mike Mearls, the gold dragon Aurinax as voiced by Greg Tito, a horrifying demon voice performed by Shelly Mazzanoble, and a very "scary" gazer "voiced" by Satine Phoenix. Is this DUNGEONS & DRAGONS RPG Adventure SoundPack useful when I'm not running this particular DUNGEONS & DRAGONS adventure? DUNGEONS & DRAGONS, D&D, their respective logos, and the dragon ampersand, are registered trademarks of Wizards of the Coast LLC. ©2018 Wizards of the Coast. All rights reserved.